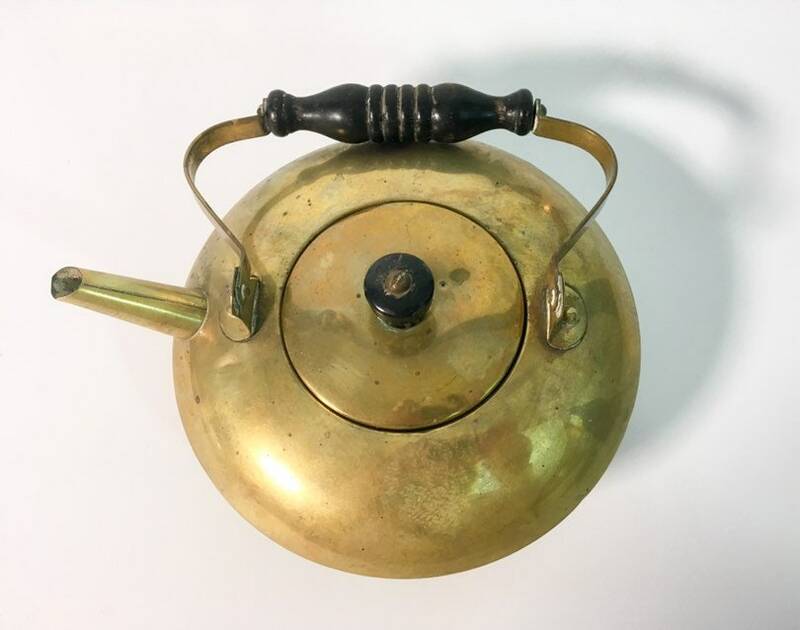 An English SWS Company hallmarked antique brass tea kettle that is a great low shape and has a decorative turned black wood handle piece - the wood is most likely ebony as it was commonly used for items such as this about 200 years ago. There is also a turned black wood knob on the lid. The handle swings easily from side to side, and it rests on one side or the other. 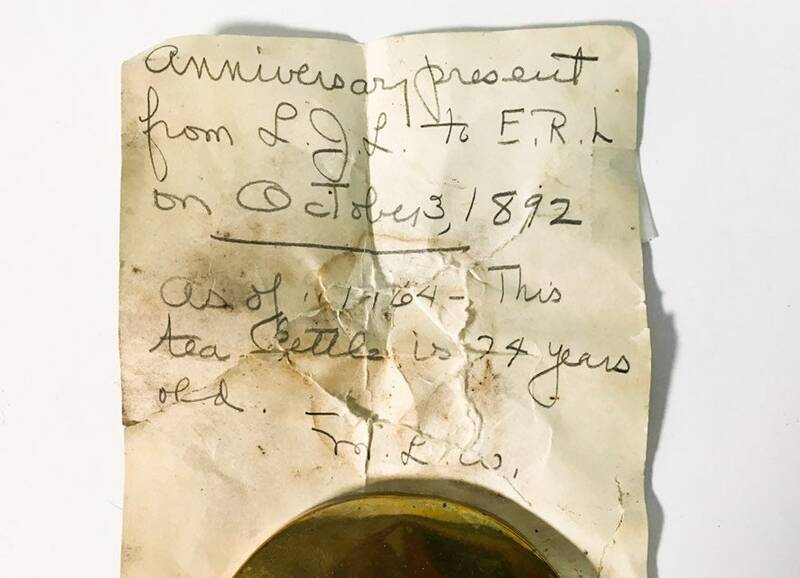 The kettle came with a handwritten paper note inside that gives the date and occasion its origins. 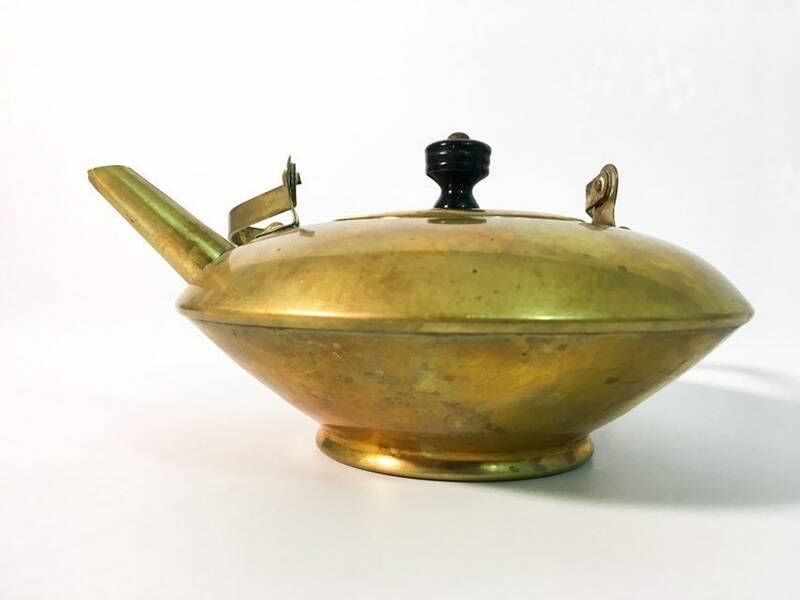 This very old brass tea kettle is hallmarked SWS and TRADE MARK on the bottom. The SWS stands for the William Soutter and Sons Company. 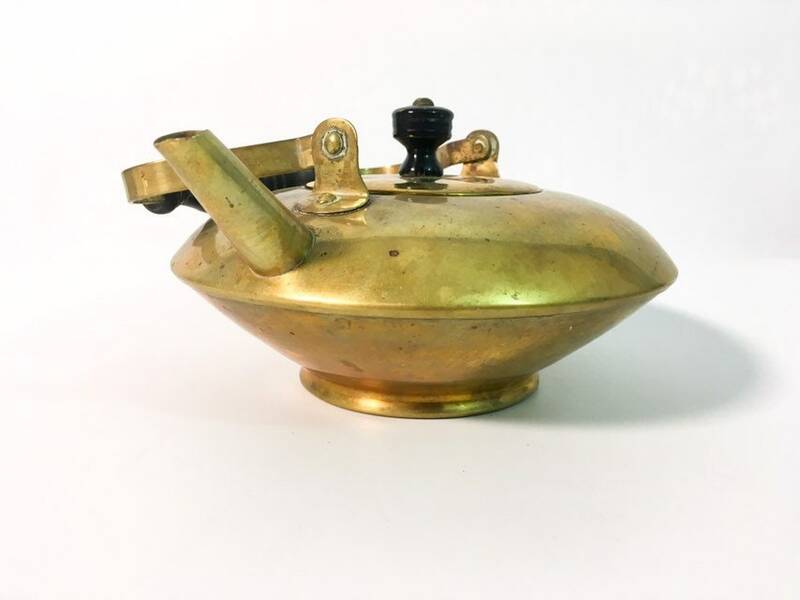 This Victorian era kettle was made by Soutter & Sons Ltd. of England. 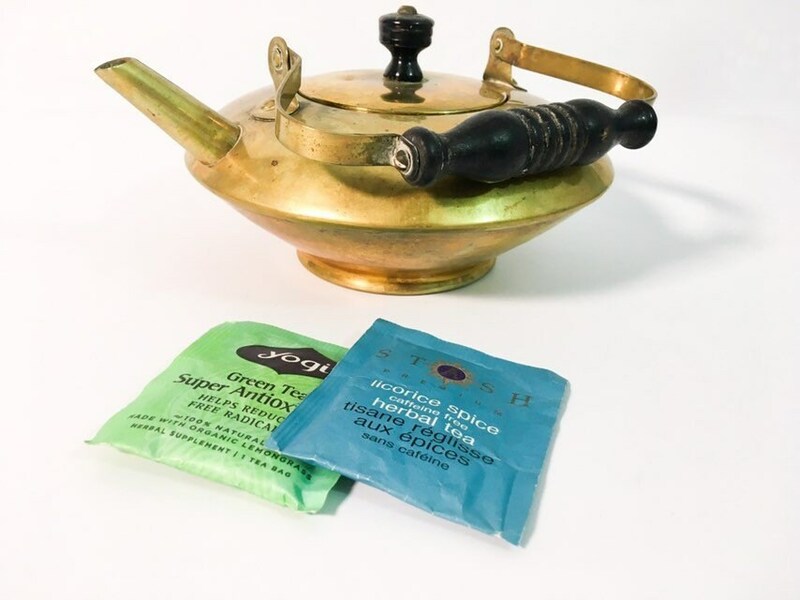 The company was founded as Soutter & Hicks (Soutterware) around 1760 in Birmingham, England. 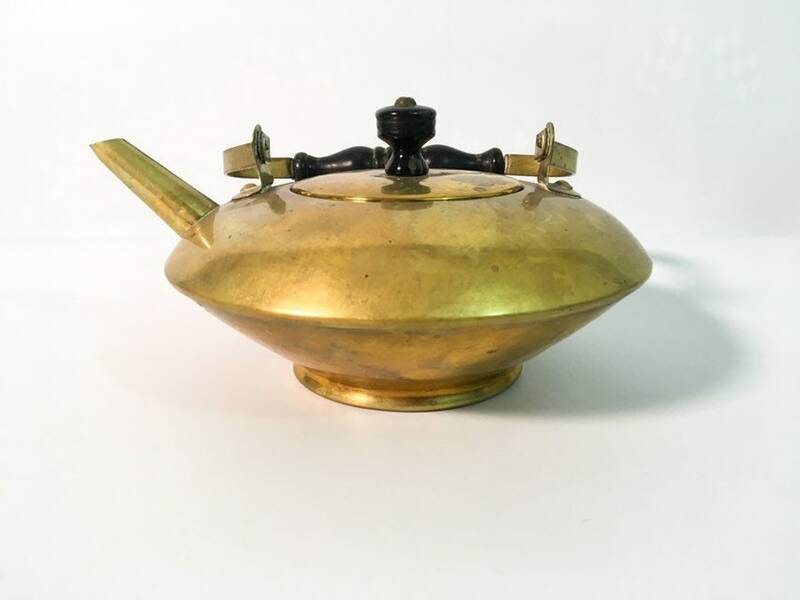 They were copper smiths and brass founders and specialized in kettles, architectural ware, electric lights, gas fittings and other items. In 1896 the business was incorporated and moved to a different location. It closed in 1927. 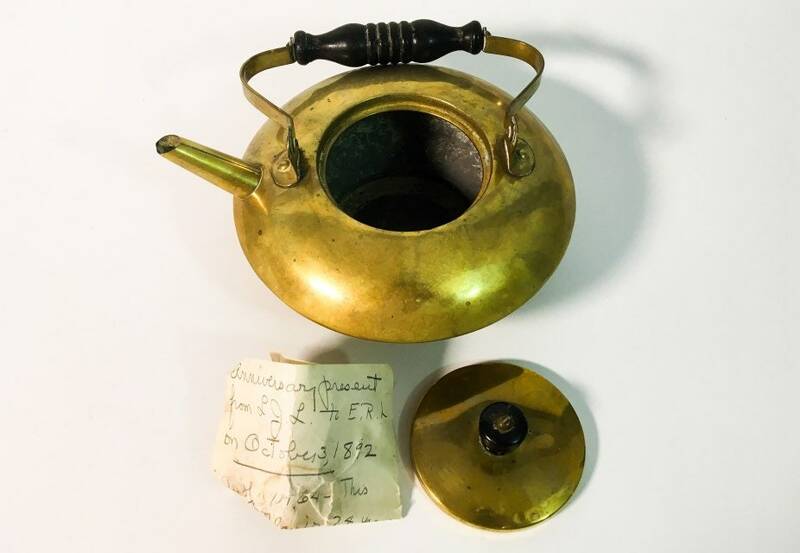 PROVENANCE: A handwritten note found inside the teakettle from the former owner gives the date 1892 for this SWS brass teakettle. The note says, "Anniversary present from L.J.L. to E.R.L. on October 3, 1892. 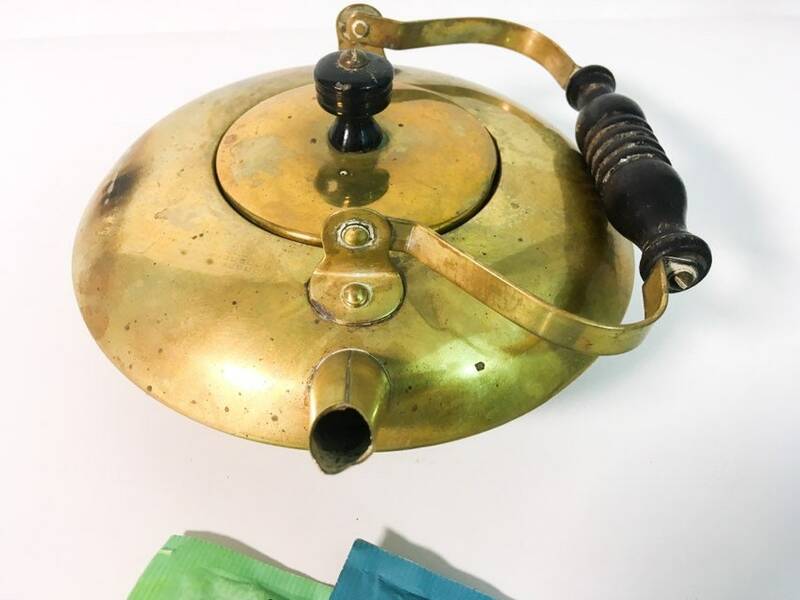 As of 1964 this kettle is 74 years old. M.L.S.” As of 2018, it is 196 yearly old! Tea kettle measures about 8" wide at widest point. Kettle is about 6 1/2" high to the top of the handle. 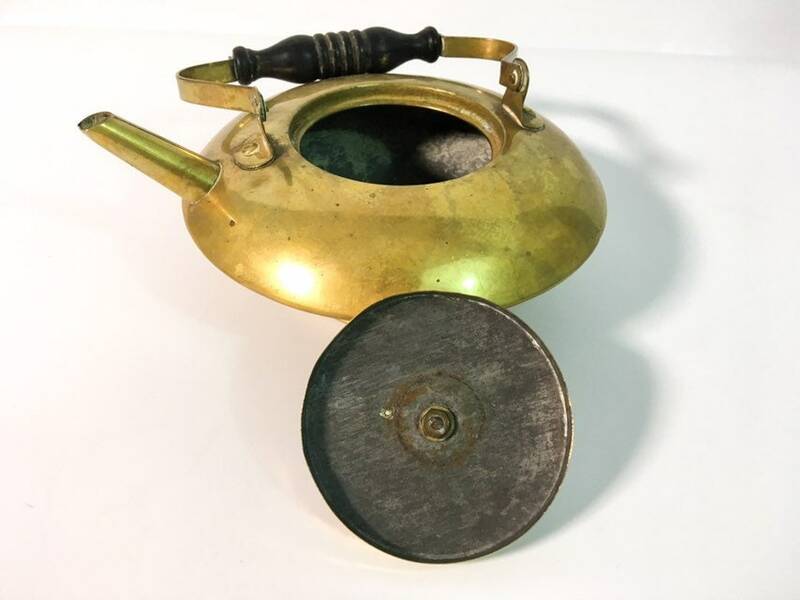 The body of the kettle has a 6 1/2" diameter and is 2 7/8" high. 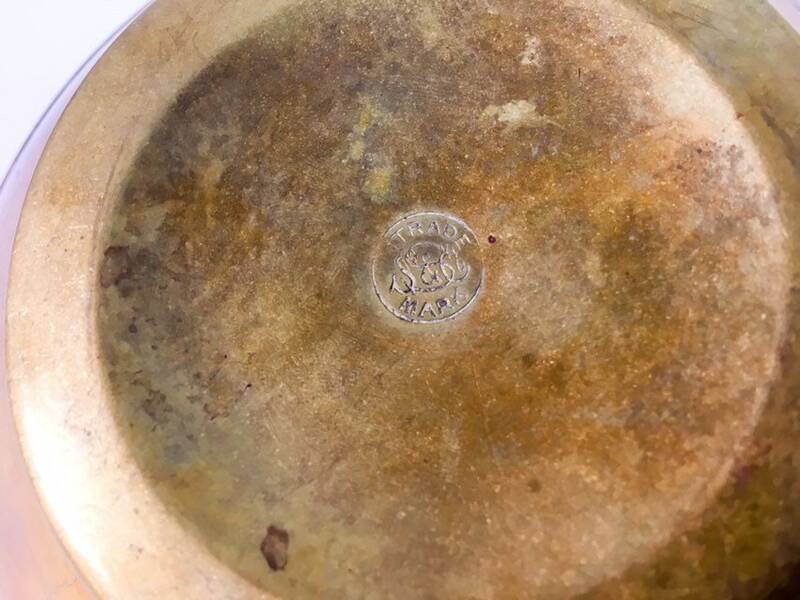 In good antique condition with wear, slight dings in various places and patina. Perfect shabby chic piece with a cup full of history!